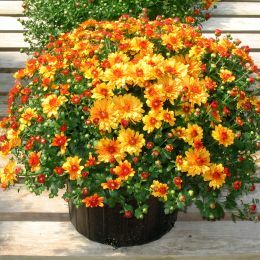 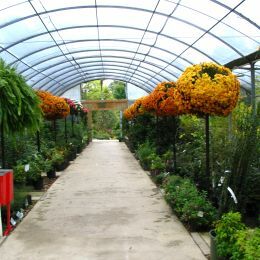 We specialize in growing chrysanthemums for fall. 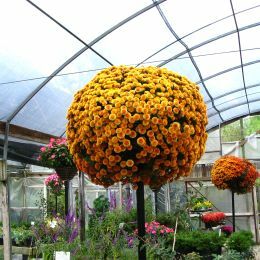 Most of our selections are Belgian mums, which are self-branching (no pinching necessary) and grow into beautiful specimens, loaded with blooms. 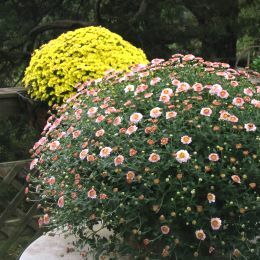 Usually, depending on weather, mums are perennial in our area. 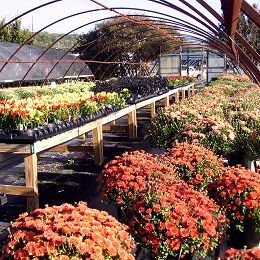 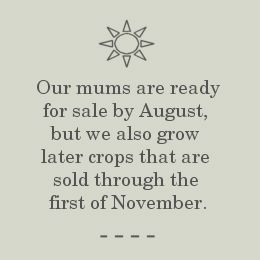 Our mums are ready for sale by August, but we also grow later-blooming varieties that are sold through the first of November. 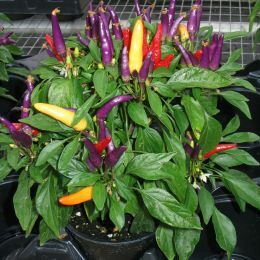 We also grow ornamental peppers all summer, and by fall they are rich with color. 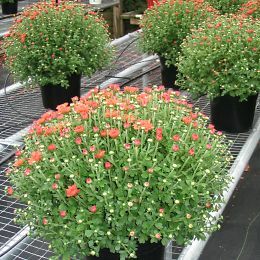 These peppers make wonderful mixed plantings with mums, but are annuals. 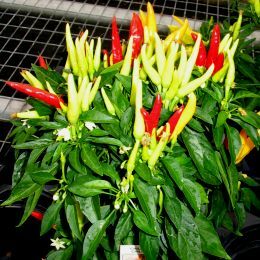 Peppers are sold as each crop matures, usually August through October.